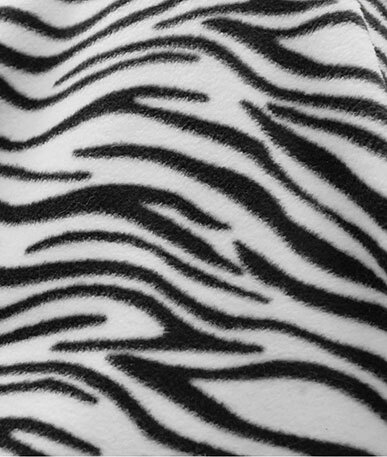 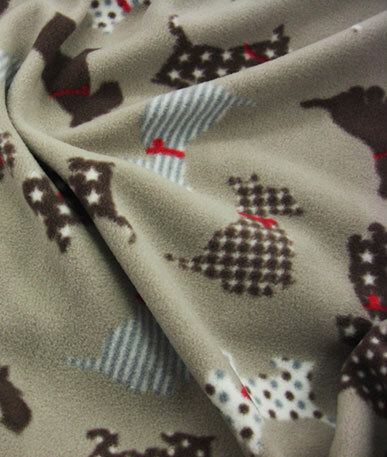 Super soft and spotty! 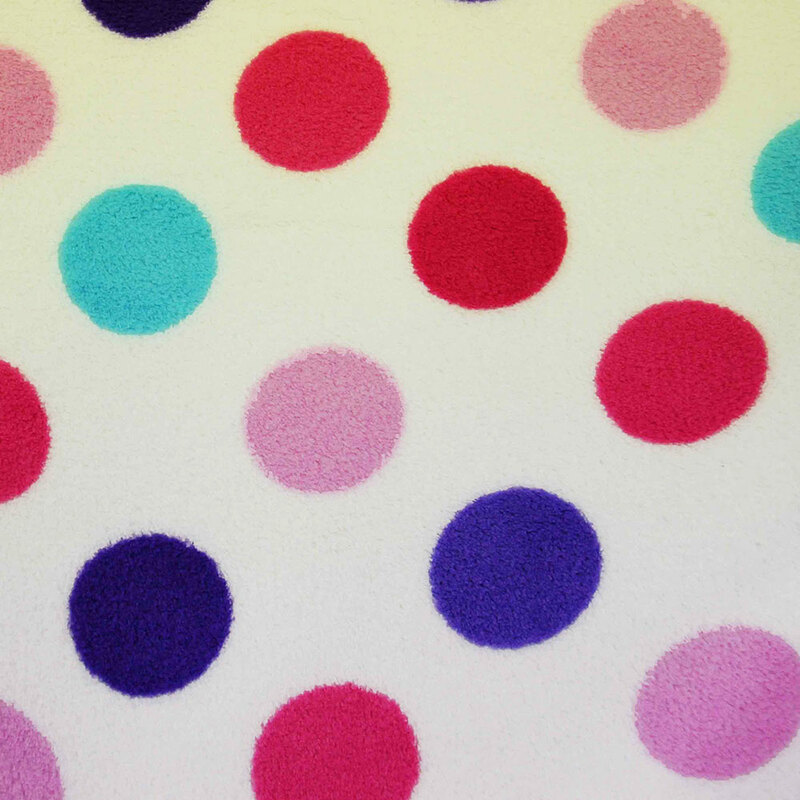 Big bright block printed circles on bright white coral fleece. 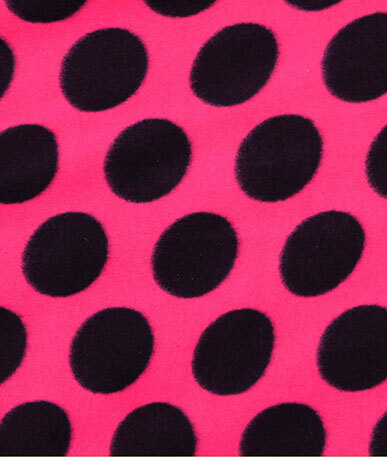 The spots cover the fabric in bright candy pink, bubble-gum pink, aqua, and purple shades, and all measure 5 cm across set neatly apart in a uniform way. 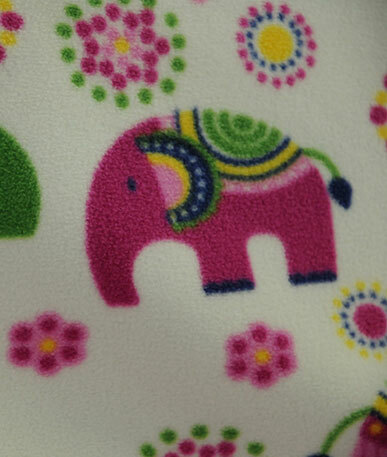 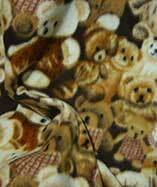 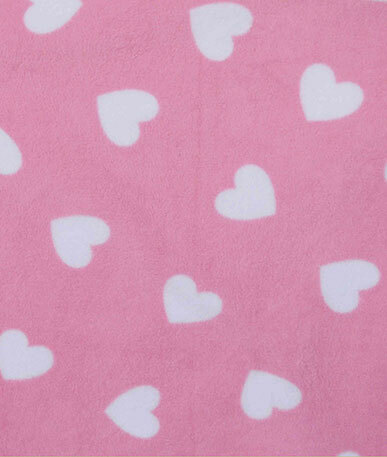 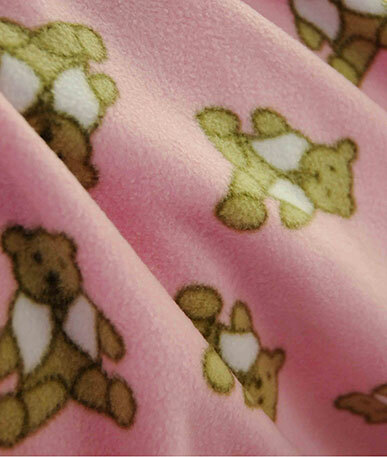 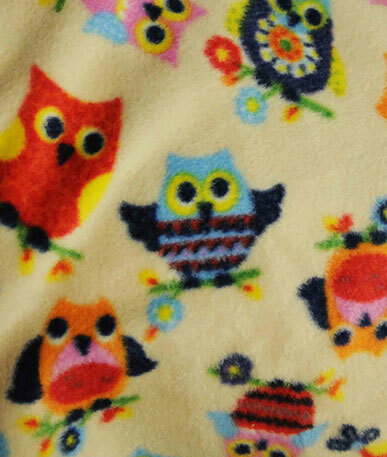 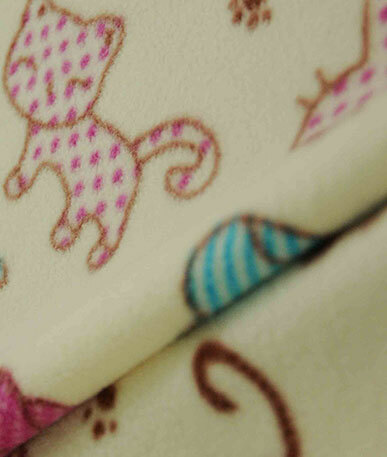 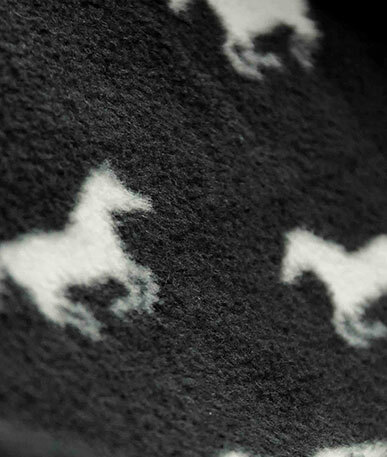 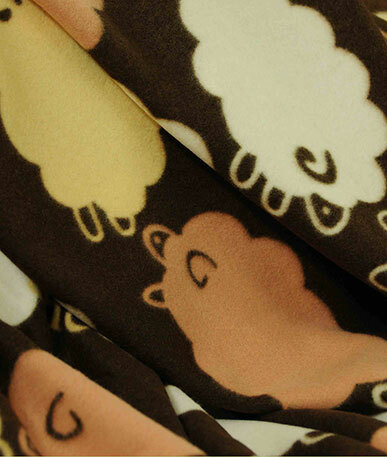 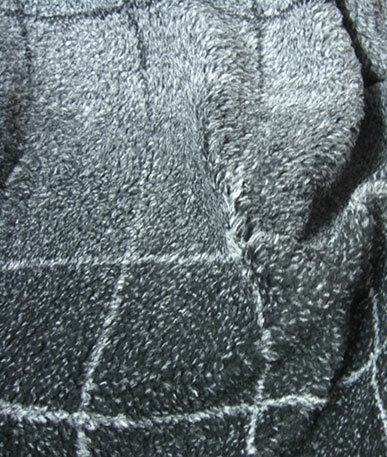 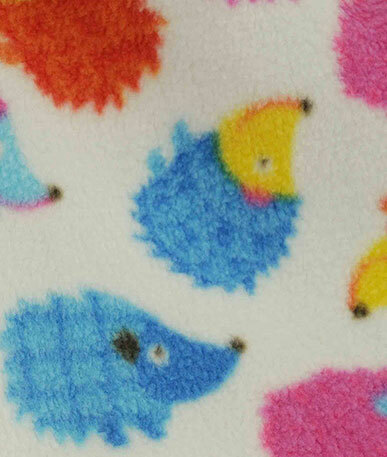 This extra soft and cuddly fleece has a much thicker pile with a smooth yet fluffy finish. 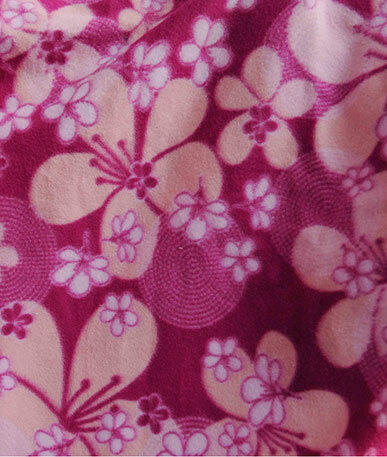 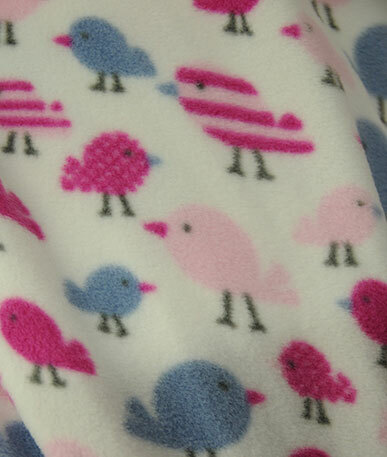 Coral fleece is ideal for dressing gowns, cosy night wear and blankets.